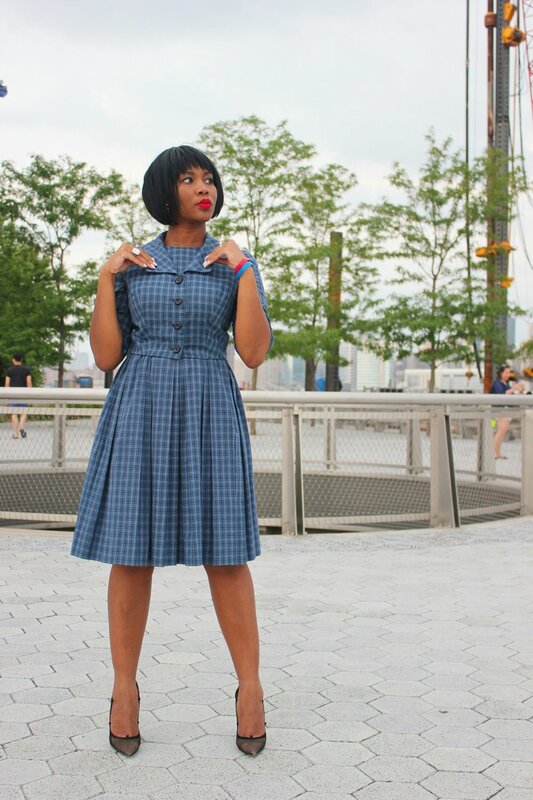 If this 50s vintage dress looks familiar then it's probably because you've seen the movie Hidden Figures. 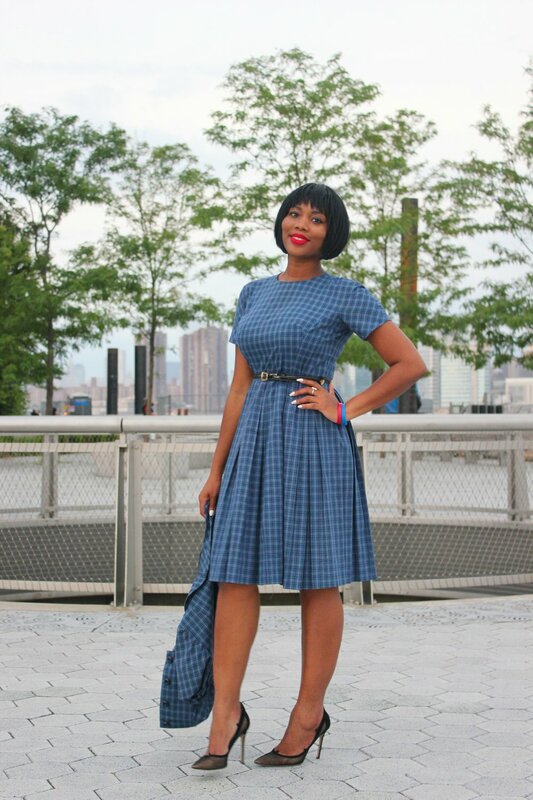 Hidden Figures, an Oscar nominated movie starring Taraji P. Henson, was set in the 1960s, and Taraji P. Henson's character, among others, wore a similar outfit. This style of work dress was very popular in the 50s and transitioned nicely into the 60s. When I walked into my favorite vintage shop and behld this dress, I knew I had to own it. Thankfully, I tried it on and it fit perfectly! I was ecstatic. I couldn't wait to wear it to work. When the dress became officially mine the challenge was the best way to wear it. I struggled with whether to modernize it or take the vintage to another level by adding a pearl necklace and possibly vintage shoes. I decided to wear it as is - no pearls or vintage shoes, no trending 2017 accessory. I think I nailed it. Sometimes, less is more. So what's the lesson here? Don't think too hard about how to wear a vintage outfit. The most important thing is that you own the look. Make it yours by wearing it in the way you're most comfortable with. Remember that the outfit doesn't wear you, you wear it!